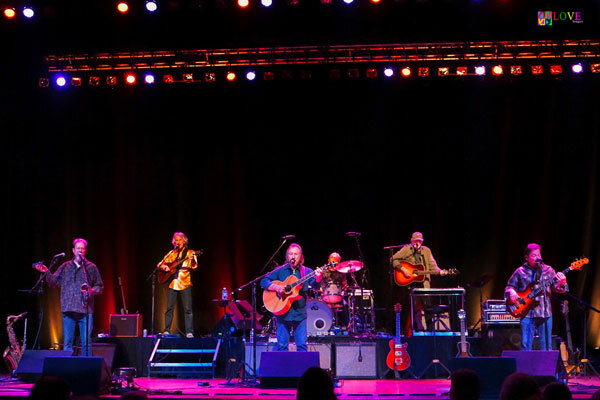 Poco originated when the ‘60’s rock band, Buffalo Springfield (“For What It’s Worth”) was recording its final album and group members Stephen Stills, Neil Young, and Richie Furay started recording their own material without the other band members present. 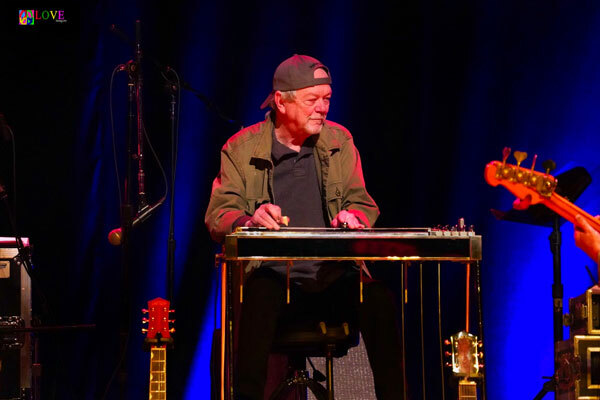 One of Furay’s projects at the time was his country rock classic, “Kind Woman,” which he recorded with the help of producer/engineer/bassist Jim Messina and pedal steel guitar player Rusty Young. 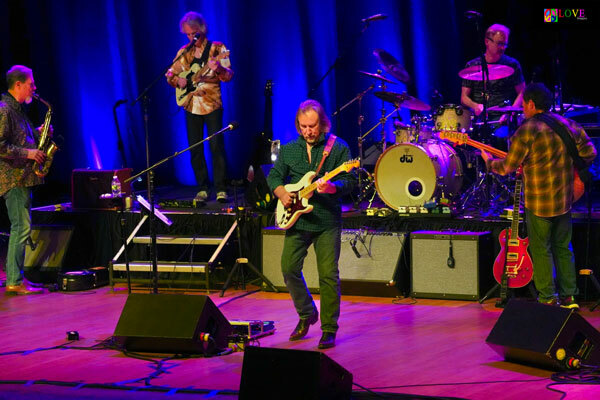 When Buffalo Springfield split up, Messina, Young, and Furay started their own band with the idea of continuing to explore this new musical genre they were developing — country rock. After completing their line-up with drummer George Grantham and bassist Randy Meisner, they called the group, Pogo, after the comic strip character, but soon after changed the name to Poco. 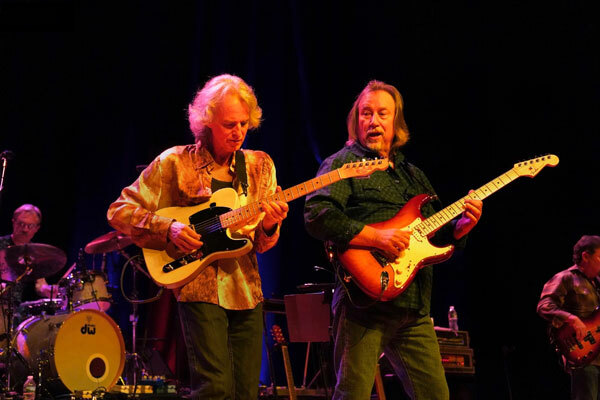 Over the years, Jim Messina left Poco to join Loggins & Messina. 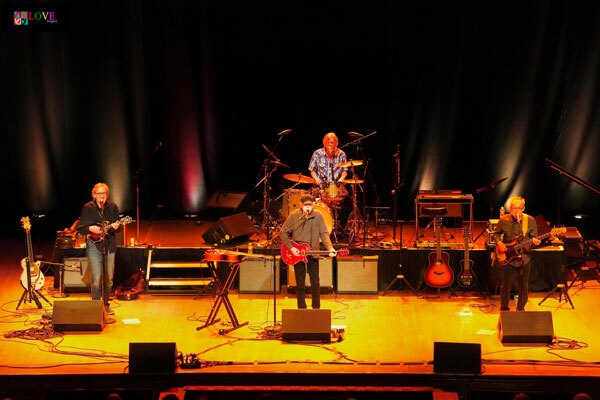 Rusty Young, however — along with Jim Messina’s replacement, Paul Cotton — continued on with Poco. 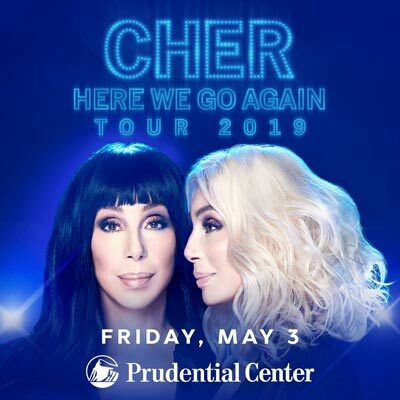 In 1978, the pair created Legend, an album which became Poco’s most commercially successful recording and which contained a song which Rusty Young wrote and sang lead vocal on — “Crazy Love.” The album was certified gold. In 1989, all five original members of Poco reunited for Legacy, another recording which attained gold record status. 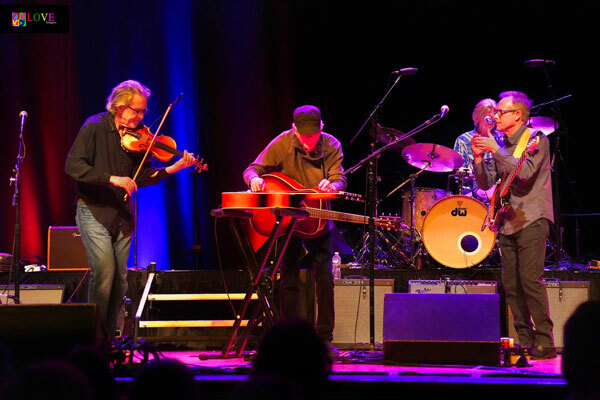 These days, Rusty Young continues to tour with Poco and its current line-up consisting of Jack Sundrud on bass, Rick Lonow on drums, and Lex Browning on fiddle, mandolin, and guitar. The group’s latest effort is entitled All Fired Up. 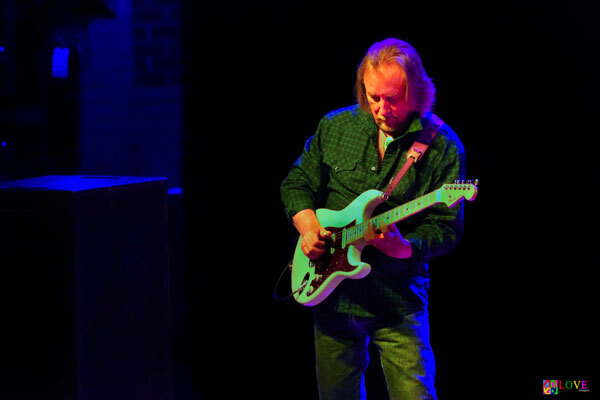 In addition to touring with Loggins and Messina, for the past half-century, Jim Messina has continued to perform as a solo artist in addition to his recording work as a singer, songwriter, instrumentalist, producer, and engineer. 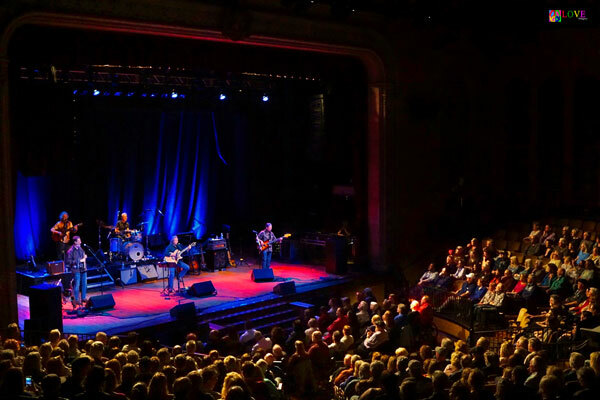 As we enter the historic Scottish Rite Auditorium in Collingswood, NJ for tonight’s Poco and Jim Messina concert, we can’t help but notice what a unique and fascinating concert venue it is. Voted one of the “150 Best Buildings and Places” by the American Institute of Architects, the building which currently houses the auditorium was originally a mansion inhabited by the likes of Edward Collings Knight, Sr., inventor of the Pullman sleeping car for railroads. As patrons take their seats inside the impressive Scottish Rite auditorium, soft purple and blue lights illuminate the stage which is framed by an exquisitely decorated proscenium arch. 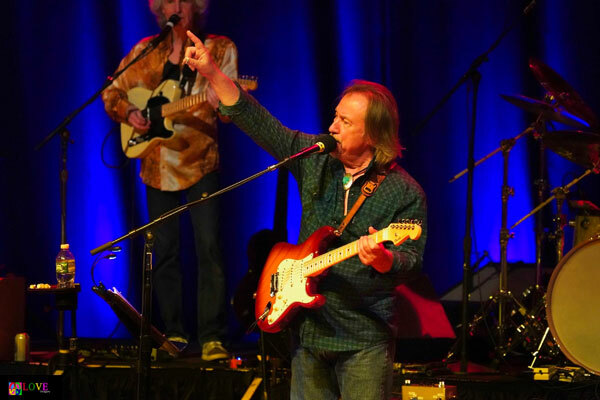 The audience hoots and hollers as the auditorium lights dim and Jim Messina and his band take the stage. At this point, he launches into Loggins and Messina’s “Travelin’ Blues.” His rich tenor sounding warm and inviting, Messina brings back happy memories of the ’70s for many in the crowd as he croons, “If you ever get the traveling blues/And need a place to rest your shoes/There’s someone here to welcome you/I’d be so happy to know that you’re alive,” as colored lights dapple the stage. 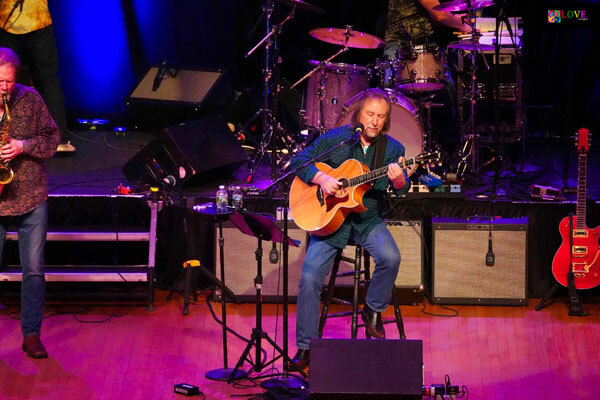 Inviting the audience to “jump in and give me a hand if I forget the words,” he segues into “Watching the River Run,” a Loggins and Messina tune which is filled with strong and melodic guitar picking in addition to the sound of a flute which adds to the overall sweetness of the song. The crowd happily joins in on the classic, “House at Pooh Corner.” Lights shine on the audience as everyone sings the “Count all the bees in the hive/Chase all the clouds from the sky” lyric together on this nostalgic arrangement. The sound of acoustic guitar and fiddle permeate the Scottish Rite auditorium on Messina’s rendition of “Danny’s Song.” As the audience joyfully sings along on the famous, “And even though we ain’t got money/I’m so in love with you honey” chorus, they get swept away in memories and respond at the conclusion with cheers for a triumphant performance. Soprano sax and fiddle pepper Loggins and Messina’s “Thinking of You,” a number with an easy ’70s groove that gets audience members’ fingers and toes tapping. 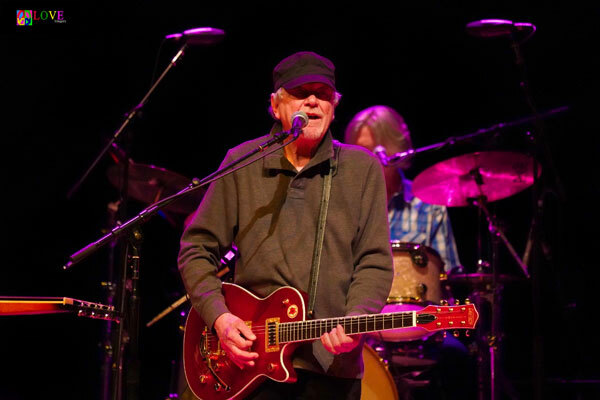 Following avid applause, Messina welcomes Rusty Young to the stage. Joining in on guitar and vocals, five-part harmonies ring out on “Follow Your Dreams,” a Poco song from Legacy with a message which is clearly appreciated by the crowd. Here, the musicians launch into Richie Furay’s “Kind Woman,” the audience cheering the moment they hear the opening guitar lick. 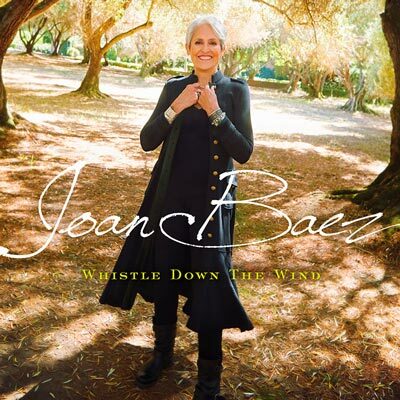 A waltz featuring unusual shifts in rhythm, Messina’s voice cries out in a country way accompanied by the crying of a country fiddle. 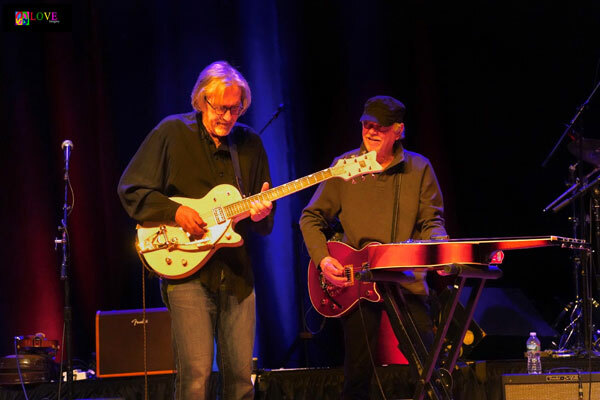 Young’s pedal steel guitar solo is superb, and the group’s performance inspires audience members to stand at the conclusion of this beautiful country rock love song. 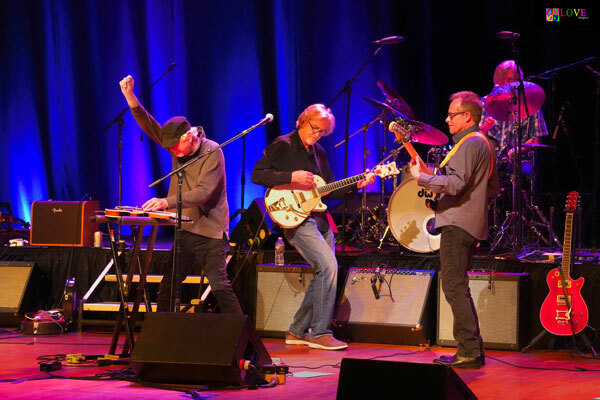 Grabbing an electric guitar, Messina says, “It’s fun picking with old pals!” before introducing the first hit record he wrote for Poco — “You Better Think Twice.” On this roadhouse rocker, a saxophone wails and Messina and Young have fun trading off on the instrumental break on their respective instruments — electric and steel pedal guitar. 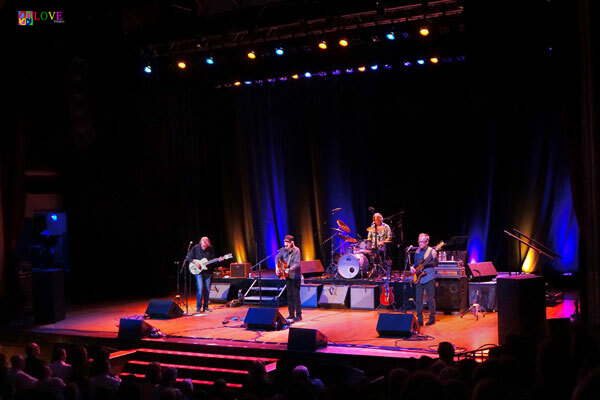 Drums keep the beat going as the crowd claps along to the infectious rhythm of “Pickin’ Up the Pieces” — an arrangement of another Richie Furay song for Poco which features a trio of solos including fiddle, steel pedal, and electric guitar. Hands clap to the guitar and fiddle intro to a medley of two well-known Loggins and Messina numbers — “Listen to a Country Song” and “Holiday Hotel.” The crowd moves in their seats to the medley’s infectious beat, and the audience cheers at the unique alto sax and fiddle duet before Rusty Young takes leave of the stage to large applause. Here, Messina and Co. launch into a trio of Loggins and Messina classics. On “Lovin’ Me,” Messina sings, “Take me in your arms/And let me love you again/I bet you won’t get up and walk it on out the door,” as audience members clap along and nod their heads to Messina’s lyrical electric guitar solo. Segueing into “To Make a Woman Feel Wanted,” the audience sings along on the well-known “Tell her she’s the kind of a woman/That can send you home knowing that you really been loved” refrain before Messina comes forward to solo on his guitar at the foot of the stage. Lastly, the group performs “Peace of Mind.” Strong vocals take center stage before tenor sax and guitars take over. Lights flash on the crowd as Messina leads the audience in a heartfelt rendition of the “Peace/Peace of mind” lyrics which ultimately elicits a standing ovation from the crowd. Messina switches over to the mandolin for the Loggins and Messina tune, “Be Free,” where pizzicato violin and mandolin — along with the sound of a soprano sax — create a new mood in the Scottish Rite auditorium. 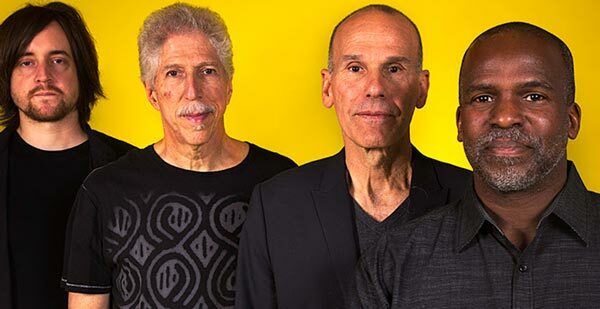 The audience claps along to Messina’s solo which is followed both by a fiddle solo and a soprano sax solo, the group creating a rousing country dance which sounds both worldly and New Age, timeless and pristine. The audience responds with a another rousing standing ovation. 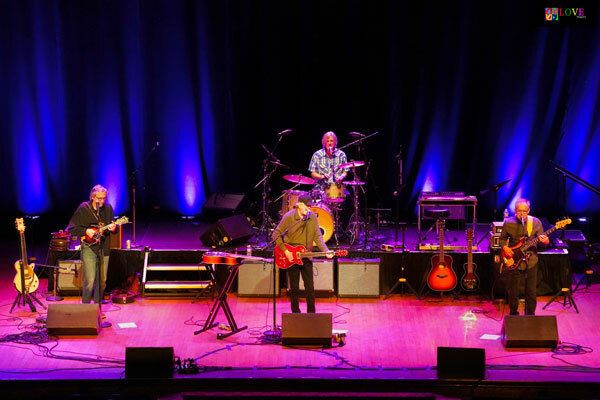 After introducing the members of his band, Messina and Co. perform a highlight number of the evening — Loggins and Messina’s “Angry Eyes.” Opening with its iconic electric guitar intro, the audience cheers the moment they recognize the tune. Ending to audience cheers and screams, Messina and the band immediately segue into the crowd-pleasing Loggins and Messina hit, “Your Mama Don’t Dance.” With the audience singing along on the famous “Your Mama don’t dance and your daddy don’t rock and roll” lyric, the performance ends in yet another standing ovation! During intermission, we take a moment to chat with Jim Messina, who is out in the lobby meeting and greeting his many fans. 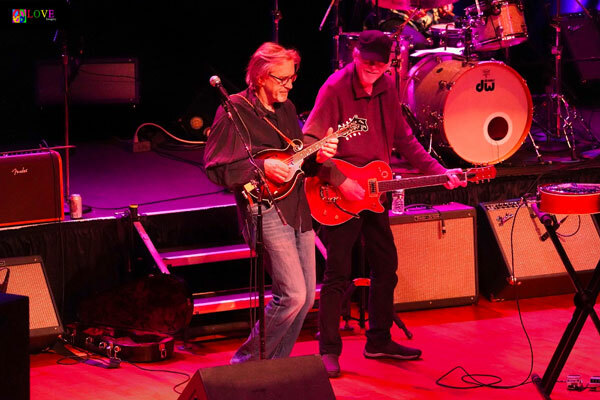 The lights dim and Act II begins as the musicians of Poco — Rusty Young on guitar, lap steel, and steel pedal; Jack Sundrud on bass; Rick Lonow on drums; and Lex Browning on fiddle, mandolin, and guitar — take the stage to excited applause. Singing “Me and the boys/We’re gonna make a little noise” in four-part harmony, the crowd claps along to the infectious rhythm before Lex Browning takes a mandolin solo and Rusty Young switches over to play the lap steel. Moving on to Richie Furay’s “Pickin’ Up the Pieces,” the group sings, “Well there goes another day/Now I wonder why/You and I/Keep telling lies,” as Les Browning serenades on the mandolin. Next, Poco performs its 1989 Top 40 hit, “Call it Love,” a pop confection which features a ringing rhythm guitar part, a tremolo guitar solo by Lex Browning, and an electric guitar solo played by Rusty Young as lights dance to the song’s catchy beat. Following large applause, Young tells a story about his wife, Mary, who is currently in Missouri working to get a rescue dog shelter built. 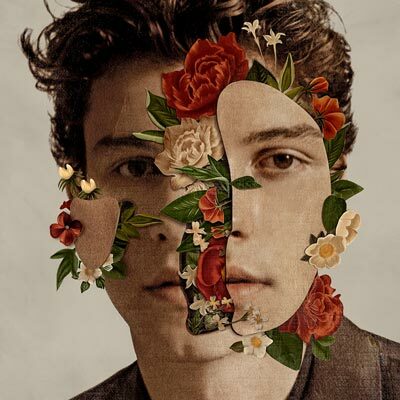 Here, he sings “Listen to Your Heart” — a song he just released last week — the proceeds of which are designated to help fund this worthy cause. Drums pound the beat on the rockin’ “Hey There,” as Lex Browning and Young pick and strum on their electric guitars. 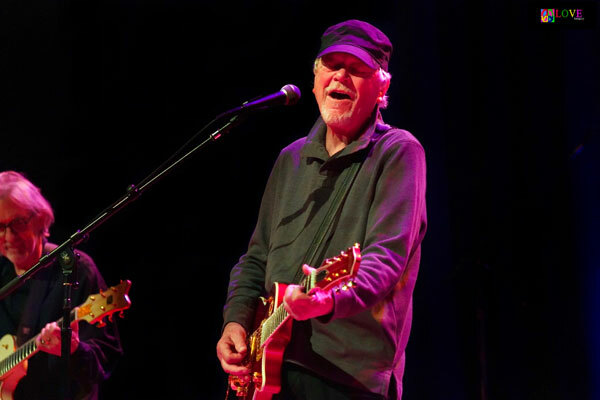 Acknowledging, “Emmy Lou Harris closes every show with this song,” Young and Co. launch into the country rock classic, “Rose of Cimarron,” a cinematic number with dynamic vocals which also features a tasty Rusty Young guitar solo. Crooning, “Neil Young is not my brother/Bad news for my mother,” Rusty imitates Neil Young both with his guitar and his harmonica playing — along with his spot-on vocal inflection — on this humorous tongue-in-cheek composition. 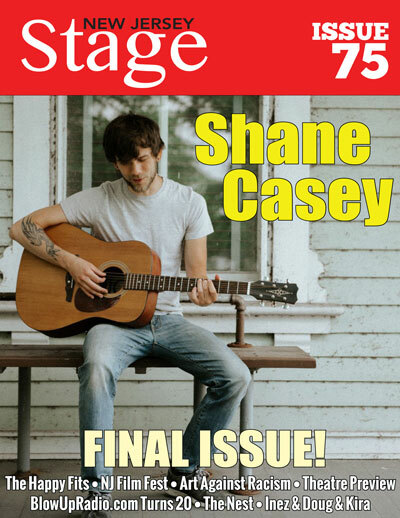 Revealing, “This song was #1 for six weeks in 1970 but, today, has millions of streams on Spotify,” Young performs Poco’s biggest hit — “Crazy Love.” The audience swoons on the famous, “It happens all the time/This crazy love of mine” chorus as the group sings in tight four-part harmony and the crowd reacts with avid cheers and applause. 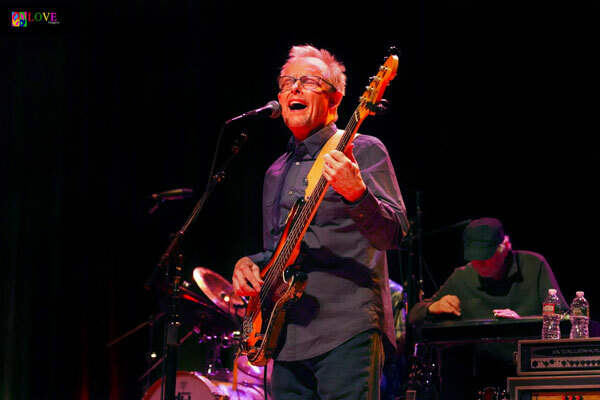 Referring to the difficulties of farming life, Sundrud laments, “Hard country/And this year they say that it looks like a drought/But I can’t leave/My roots go deep in this hard country.” Although the group starts the song with acoustic instruments, as the piece progresses, mandolin switches to electric guitar, acoustic guitar shifts to electric bass, playing the drums with hands changes to sticks, and pedal steel changes to lap steel. The audience rewards the band with a standing ovation for this heartfelt performance. 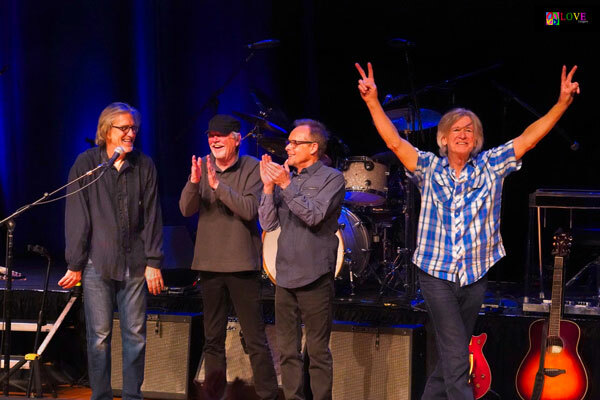 Poco concludes tonight’s show with a performance of Richie Furay’s “Good Feelin’ to Know,” an uplifting song which has audience members bopping their heads and dancing at their seats on this feel-good rocker which inspires cheers and a standing ovation for these talented musicians. 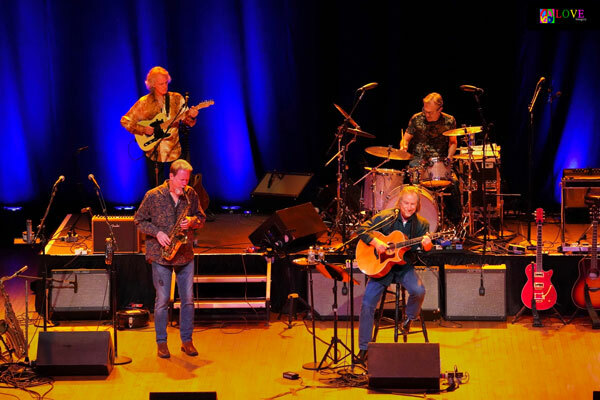 As audience members make their way out of the historic Scottish Rite Auditorium, we chat with several music lovers in the house who share their thoughts with us about tonight’s performance by Poco and Jim Messina. 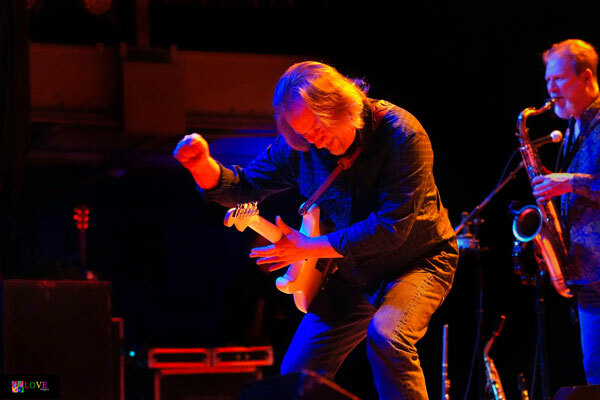 To find out more about Jim Messina, please go to jimmessina.com. 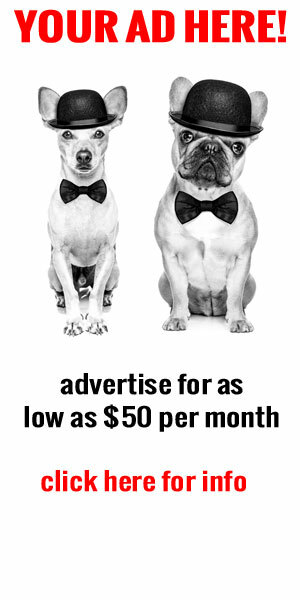 To learn more about Poco, please go to pocoband.com. 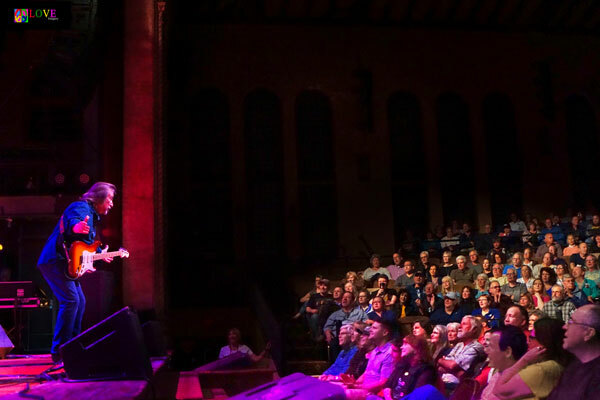 For information about upcoming concerts at the Scottish Rite Auditorium — including The Bizarre World of Frank Zappa — A Holographic Concert Experience on May 2, The David Bromberg Big Band with Los Lobos on Oct. 19, and Pink Martini on Oct. 25 — please click on scottishriteauditorium.com.